Set the Fade in Speed and Duration of the slides. Select if the slideshow order should be random. Select Custom background images for your slideshow. To Add more images simply click on the preview area and select from Media. To Remove click the ‘x‘ icon on the image. To Remove all images click the Remove Images button. 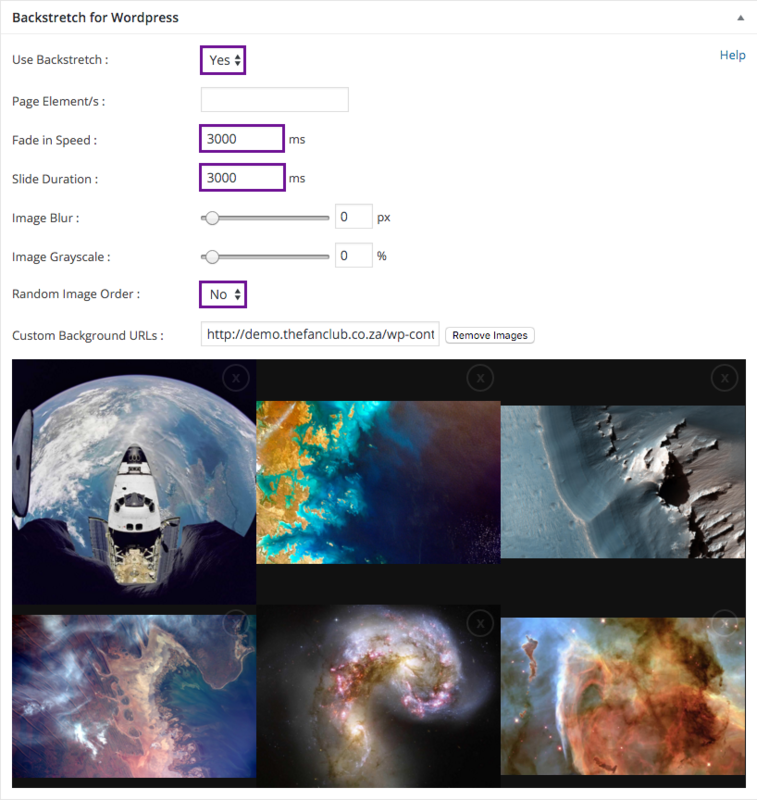 Click Publish to apply and preview your backgrounds as shown.